Guests Edward Honey and Benjamin Alimena are two of the Discover Flying Interns for Cessna in a program to take the 162 Skycatcher to various aviation fly-ins and events, ending with AirVenture in OshKosh. 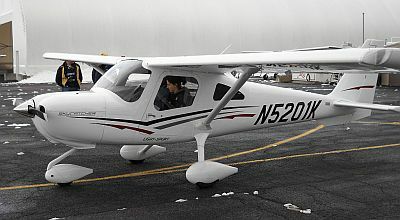 Cessna is handing the keys of these brand-new light sport aircraft to college students (and recent graduates) and trusting them to fly all over the country to promote the airplane. Chris Manno from the JetHead blog is our guest co-host. Be sure to check out his JetHead Live podcast. Grant is on the cell phone this week from far north west Victoria, 600km from Melbourne, and Max’s favourite Australian, Anthony Simmons also joins us. In the news, on the one year anniversary of their grounding, Tiger Airways opens its new Sydney base, announces 150 new jobs and re-commences Sydney – Gold Coast flights, Qantas check in systems affected by world wide Amadeus System malfunction, Air Pacific announces an operating profit of $A9million for the year. Just for fun, we also nominate our favourite Americans. This week on Across The Pond, Pieter along with Gareth visit the Royal Navy Air Day at RNAS Yeovilton in Somerset, UK. Apart from reminiscing about the Fairy Swordfish Pieter talks to Gareth about his chariot for arriving, speaks about some of the static exhibits demonstrating the air power in the Falklands conflict and see’s a Condor fly past. Find Pieter on Twitter as @Nascothornet, on his blog Alpha Tango Papa, and on Facebook at XTPMedia. You can also find Pieter and Gareth at the Aviation Xtended podcast, and on Twitter at @AviationXtended. Rob found the Cessna 152 video. This episode is dedicated to the memory of our friend Harriet. This entry was posted in Episodes and tagged Airport, Cessna 162 Skycatcher, Delta Air Lines, LSA on July 3, 2012 by maxflight. Interesting piece on the Skycatcher. Really can’t understand what Cessna was thinking subcontracting it to Shenyang Aircraft it in China. How their production costs are so high is interesting. Product liability insurance? 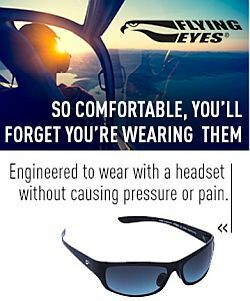 I can see their marketing strategy working to get more people interested in flight training but certainly not making people into customers of the skycatcher. The numbers really don’t add up for it. It burns around 7 GPH, is made of aluminum and costs $150K. Who is their customer? Flight schools? The Remos (far superior training aircraft) burns 5 GPH and is composite, and is priced at $120K. It has a fuel cell designed to withstand a crash. Beautiful airplane. The Remos is a far superior aircraft as is the Flight Design and don’t even get me started on PIPESTREL. The Pipestrel Alpha trainer is only $85K! Pipistrel is well known for high performance sail planes. They are a rare sight in the US but having won the NASA CAFE efficiency prize word is getting around. You must admit that using glider design technology to cut operating costs is a novel idea. I am a huge fan of Cessna and happen to own a share in a 172. It would be great if Cessna could make a low cost trainer using state of the art technology.